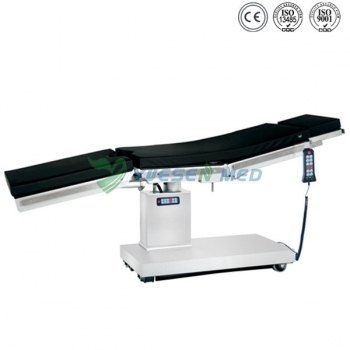 YSOT-D2 electric operating table is suitable for various operations conducted by medical unit. 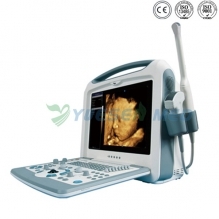 The bed surface adopts imported carbon plastic plate,upright column is side-lying design fulfills the needs of C type arm whole body examination, photography. The base seat and upright column covering are made of high quality 304 stainless steel which can be easily cleaned and sterilized. Both sides of the bed rail for the high quality 304 stainless steel. Various actions are controlled according to electric hydraulic working principle and by remote controller. 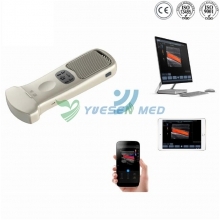 Electric brake control which is easily for moving operating table. A pair of shoulder support frame,a pair of waist support frame,a pair of arm resting frame,a pair of leg support frame,a screen frame,a pair of pedal foot board,a waistband.